Drs. Jason Matuszak (left), Ashwin Rao, (right), Executive Director Jim Griffith and AMSSM State Legislative Consultant Michael O'Brien represented AMSSM at the National Conference of State Legislatures Meeting in Seattle this week. 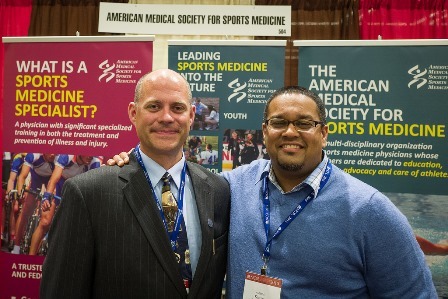 Dr. Matuszak serves as the Vice Chair of the AMSSM Practice and Policy Committee.